Purple is the way forward. Why not just switch to Mac Os X instead? Because I'm happy with Linux, and I'm not a fan of overpriced hardware, or locked-in software. 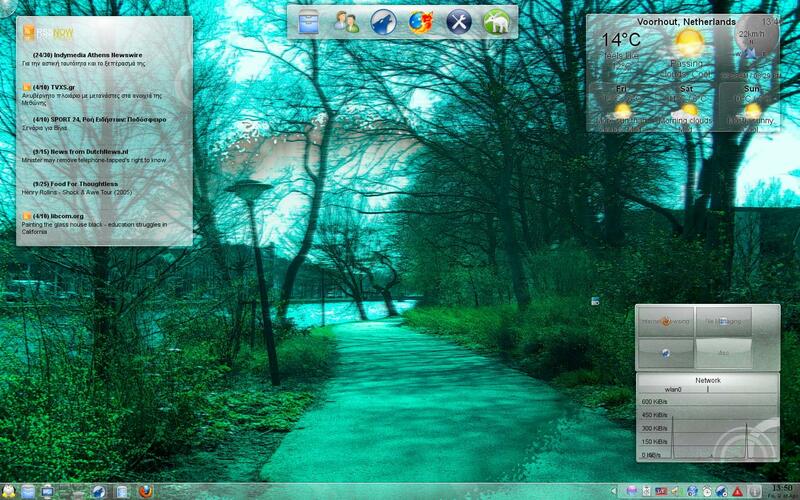 I am, however, a major fan of OS X's interface, and GNOME makes it very easy for me to have a similar setup. LOL, you and me both. But I kinda like how KDe progressed now to bother about the OSX interface. Very cool, you even have the global menu. Mac sure does know how to make a good looking interface, so I don't blame you for wanting to imitate it. I am not a gnome fan, but I may be able to convert a few mac users if I show them your screenshot. Thanks for sharing. Just got done installing openSUSE on a friends new HP.